According to a new report, the recently released Surface tablet computers from Microsoft could be Wi-Fi only, indicating that the users will not be able to use the increasing wide spreading fast 3G and even 4G networks across the world. It is believed that the mobile wireless capabilities will be released later by the company. South Korean electronics giant, Samsung has really worked hard to offer a host of new features in its new flagship smartphone, the Samsung Galaxy S III. The device comes with a great number of new features such as S-Voice and Android Beam. The four new sharing service offered on the device, AllShare Play, Group Cast, Share Shot, and Buddy Photo Share are likely to keep users on their smartphones for longer time. Software giant, Microsoft is likely to showcase its new Windows Phone 8 mobile operating system at its upcoming developer event next week. Microsoft's Windows Phone Developer Summit is scheduled for June 20 and 21. The company has not announced the location of the event yet but it is likely to be at the Moscone Center in San Francisco. The company has promised “A sneak peek at the future of Windows Phone” at the event. The users of Samsung Galaxy S II smartphones, who are subscribed to on T-Mobile will now be able to upgrade their devices to the latest Android 4.0.3 version for improved functionality and performance. The Ice Cream Sandwich was launched for the Samsung Galaxy S II yesterday evening for on T-Mobile users. The users can go to install the latest version using a T-Mobile support page. However, the updata is not available over the air and thus cannot be downloaded directly onto the phone. Internet giant, Google and south Korean electronics giant, Samsung are planning to launch new devices based on the ChromeOS platform in order to attract more users to the platform. Samsung might soon launch a laptop and a desktop box system based on the platform. The platform has not attracted a huge number of users but it is believed that it has enough advantages to become a competitor in the operating system market. South Korean electronics giant, Samsunng's tablet offering in the market are continuing to compete with the market leader Apple iPad as well as Android camp rivals including Amazon, HTC and others. The popular Samsung Galaxy Tablet 8.9 offers a great experience by combining a user interface that sits well above Google's Android platform. The tablet offers the same type of user friendly experience that ash made Apple devices so poplar around the world. US online retail giant, Amazon has said that its Kindle Fire tablet computer has been the best selling item on the online ecommerce website. The company recorded higher than expected first-quarter profits on Thursday as the high tablet sales helped boost revenues from digital movies and books. Amazon chief financial officer Tom Szkutak said that the media sales increased in the quarter in the North American market manly due to high sales of its Kindle Fire tablet computer, which was sold exclusively in the US market. Apple has received approval from Chinese regulators for the launch of its newest iPad computer tablet in the country indicating that company might be able to offer the new tablet in the country despite the dispute over the iPad trademark. The China Quality Certification Center has granted the China Compulsory Certification to the new iPad tablet computer, according to an update on the regulator's website. The stamp is a mandatory requirement for the company aiming to sell the device in one of the biggest consumer markets. 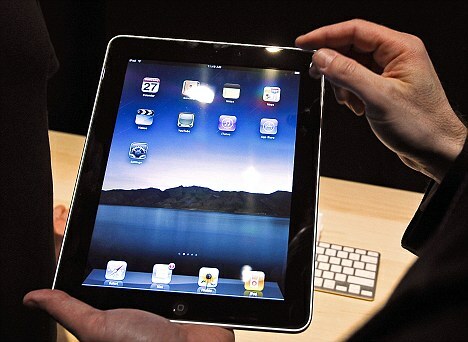 Technology giant, Apple has claimed that it has sold more than 3 million units of the latest version of its iPad tablet computer since its launch on 16 March. The new iPad, which was launched in the US market and nine other countries on Friday, has sold more than 3 million units in the few days in different counties due to high demand. 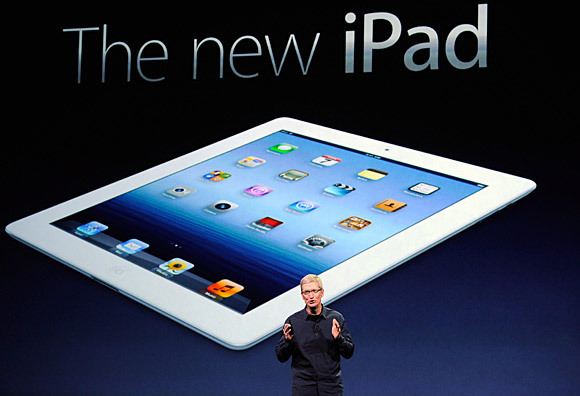 Apple CEO Tim Cook had said in a conference call yesterday that the new version of the tablet sold in “record” numbers. The latest version of the iPad tablet computer is the firs device in the category to feature the highest connection speeds through 4G LTE connectivity. The iPad's Display comes with a 2048 x 1536 resolution with 3.1 million pixels and boasts 44 percent greater color saturation than the earlier version of the tablet. The latest version of the tablet computer, which will come with a starting price range of $629, will allow users to access, record and edit high definition video. Technology giant, Apple has announced the launch of the third generation of its tablet computer at the Yerba Buena Center for the Arts in San Francisco to revive the most poplar line of tablets in the world. Chief Executive Officer Tim Cook released the new tablet with faster processing speeds and a higher resolution touch screen. The new version of the tablet will feature a more impressive screen and offer faster video graphics and Long Term Evolutionary (4G) capabilities and others. Technology giant, Apple has released the new the iBooks 2 for iPad app and the iBooks textbooks, taking the digital book revolution to the next level. Digital textbooks have been growing at a great speed and this has created an opportunity for companies like Apple and Amazon. Apple has been offering a pool of knowledge in algebra, biology and chemistry subjects. The company is offering various publications from major publishers like McGraw-Hill, Pearson, Houghton Mifflin Harcourt and DK. Sporting goods maker, Nike Inc has released a new digital device, Nike+ FuelBand, which will allow athletes to track their movements. The new Nike+ FuelBand is capable of tracking all movements such as running, dancing or swimming, allowing players to track their own movements and set goals to improve performance and speed. The high-tech wristband, which was unveiled on Thursday, displays measures of calories burned like other exercise equipments in the market. The NikeFuel is claimed to be able to compare different activities through the standard. Japanese consumer electronics major, Sony has reduced the price of its Tablet S by $100, indicating a new trend of price falls in the industry. The 16GB version of the tablet will cost $399.99 compared to about $500 earlier while the 32GB model will come for $499.99 compared to a hundred dollars higher. The company has is also offering some great free content for the customers. The buyers purchasing at the reduced prices will get ten free PlayStation Classic games, a 180 day subscription to the Music Unlimited streaming service, five free movie rentals as well as an $8 voucher to buy more content. The android powered, Kindle Fire tablet has remained the highest selling item on the American online retail major, Amazon’s ecommerce website. Amazon had not disclosed the number of tablets sold on the site as it is company policy to guard figures. The company only said in statement that, "2011 was the best holiday ever for the Kindle family as customers purchased millions of Kindle Fires and millions of Kindle e-readers." 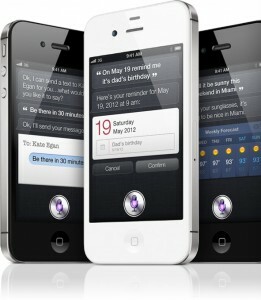 Hackers are claiming to be successful in running Apple's Siri virtual digital assistant on any jailbroken iOS 5 device with a special tool developed by the coders for the purpose. Two known hackers, Grant Paul and Ryan Petrich developed the tool called Spire, through which they run Siri on devices powered by iOS 5 after jailbraking them. Interestingly, the new hack is not technically illegal but is certainly not approved by Apple. Several people are receiving that is often described as the much desired gift, the Apple iPad this holiday season and there are several apps aiming to attract customer attention and get noticed in the millions of apps available. A project looking to produce affordable computers to address the digital divide as released its low-cost Raspberry Pi computer priced at just £16. The Raspberry Pi project aims to sell £16 Linux-based computers to allow children to learn about computing in schools. The project handlers have said that they are now testing a beta version of the device. The Model A Raspberry Pi is based on a microchip that is similar to the one used in mobile phones. The first circuit boards are complete and the production is scheduled to begin next year. Google CEO Eric Schmidt has said that the first true Google tablet will be released in the coming year. Analysts say that Google will join the competitive tablet market possibility with a tablet under the Nexus brand name. The tablet market is dominated by Apple iPad and includes various Android based tablets including that fro Amazon, Samsung, HTC and others. "In the next six months we plan to market a tablet of the highest quality," said Google CEO Eric Schmidt.